I’ve decided to participate in a daily photo challenge for the month of May. I’ll be taking a photo every day based upon a prompt. Today I’m introducing myself (Hi again!). Here’s where I sit after I get the kids down. 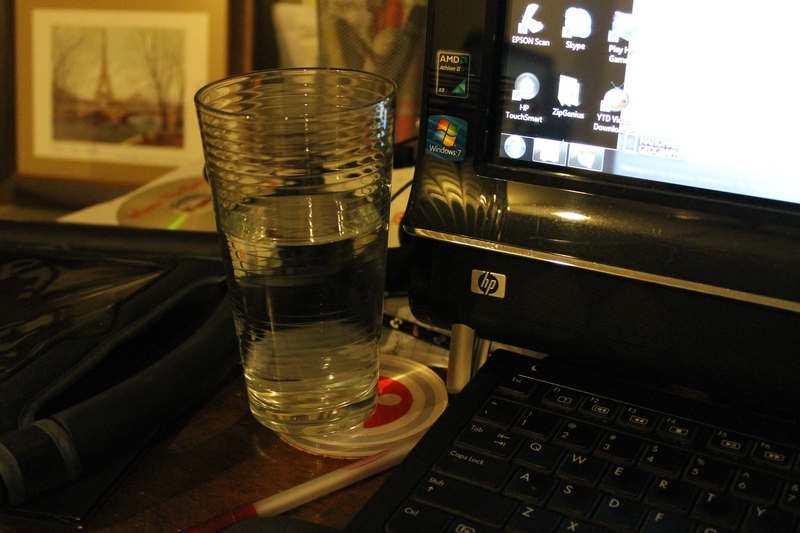 A little “me time” in front of the computer with a big glass of water. I need to take more photos. I used to take a lot of photos, but with kid number two I really don’t have time to take pictures like I wish I did. That’s a problem. I have very few photos of the baby, Daniel. Like 0.01% of the total number of photos I took of Charlie by this same point. Time to get into a new habit.